8.8" x 10.0" stitched on 14 count. 6.8" x 7.8" stitched on 18 count. 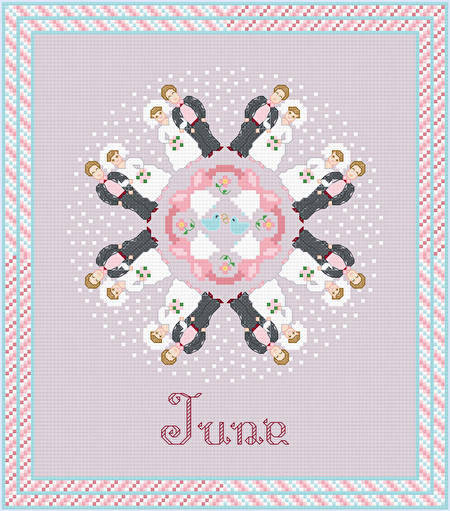 June - Wedding Time cross stitch pattern... Brides and grooms, the month name, and a complimentary border are featured. Birds, rings, bells and bows are shown. Floss usage information is given. Partial, whole and back stitches are used.